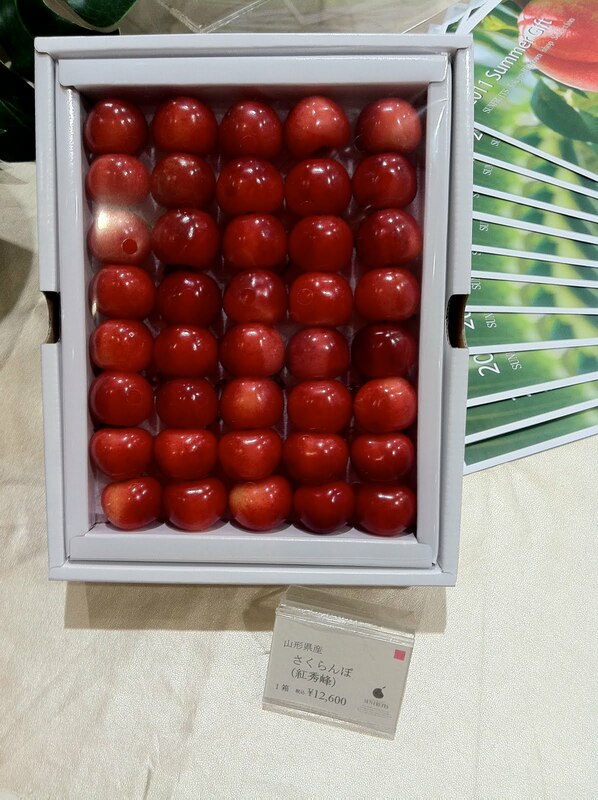 Worlds Most Expensive Fruit at Sun Fruits in Tokyo Japan. Sun Fruits Cherries priced at $155. Sun Fruit displays their fruit selections like Jewelry. No touching allowed. Japan is world famous for their exquisite but super expensive fruit. We set out to find the most expensive fruit in Japan and discovered Sun Fruits in the upscale Roppongi Hills area of Tokyo. Sun Fruits is a boutique fruit store offering perhaps worlds most expensive choices of carefully selected fruits. The fruit is presented like jewelry and it is handled with a white-glove treatment. 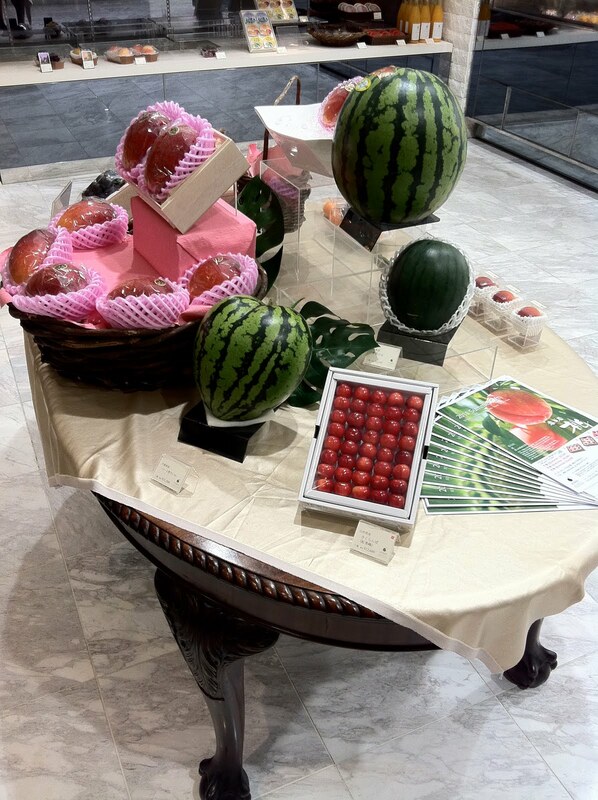 The Pièce de résistance is a heart-shaped water melon which sells for 31,500 YEN which is about $388. Cherries are more affordable but will still set you back a whopping 12,600 YEN which is about $155. Most of us may find these prices excessive, yet Sun Fruits made several sales in the short time it took for us to take our pictures. 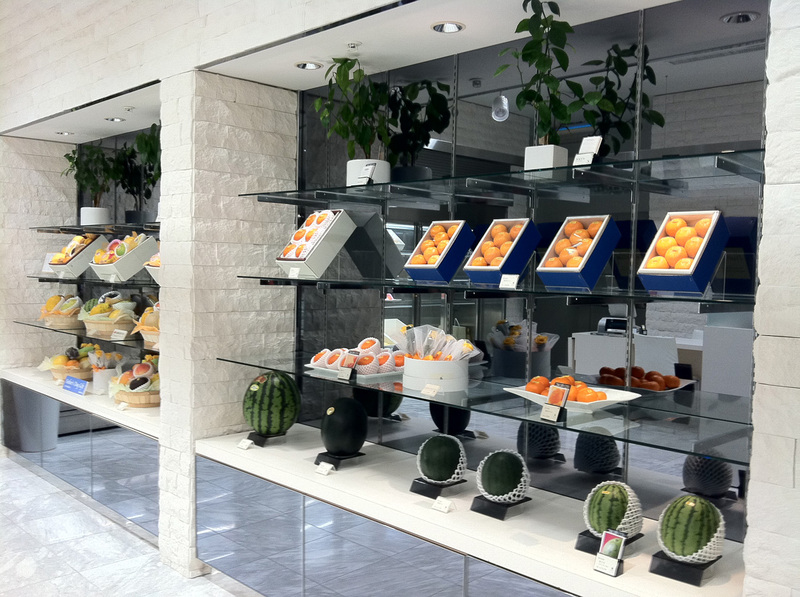 Sun Fruits display at Roppongi Hills in Tokyo Japan. 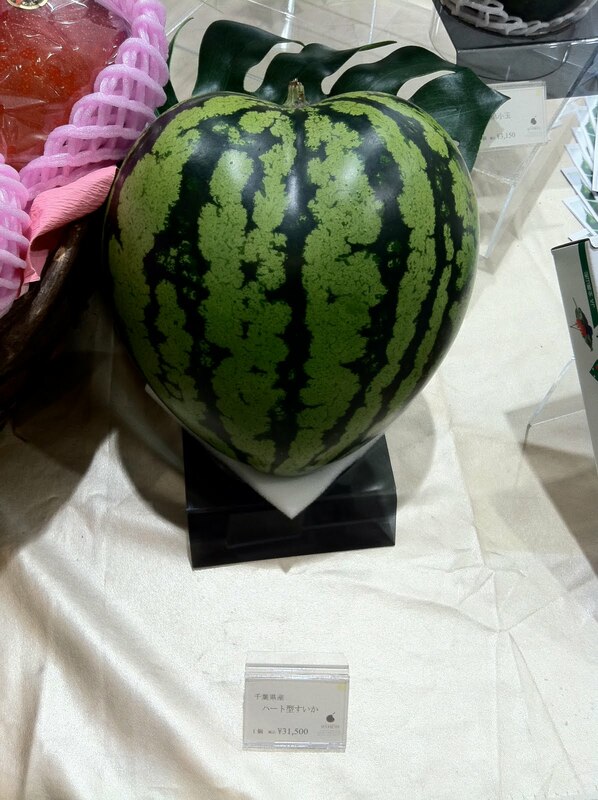 This Heart Shaped Water Mellon costs $388. 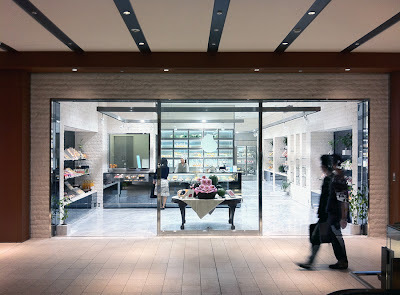 Sun Fruits is located in the Roppongi Hills shopping center just below the Ritz Carlton. When visiting the Roppongi Hills shopping center, go to the downstairs plaza where a beautiful sculpture of Isamu Noguchi is located (it takes some time to find it but it is well worth the search).